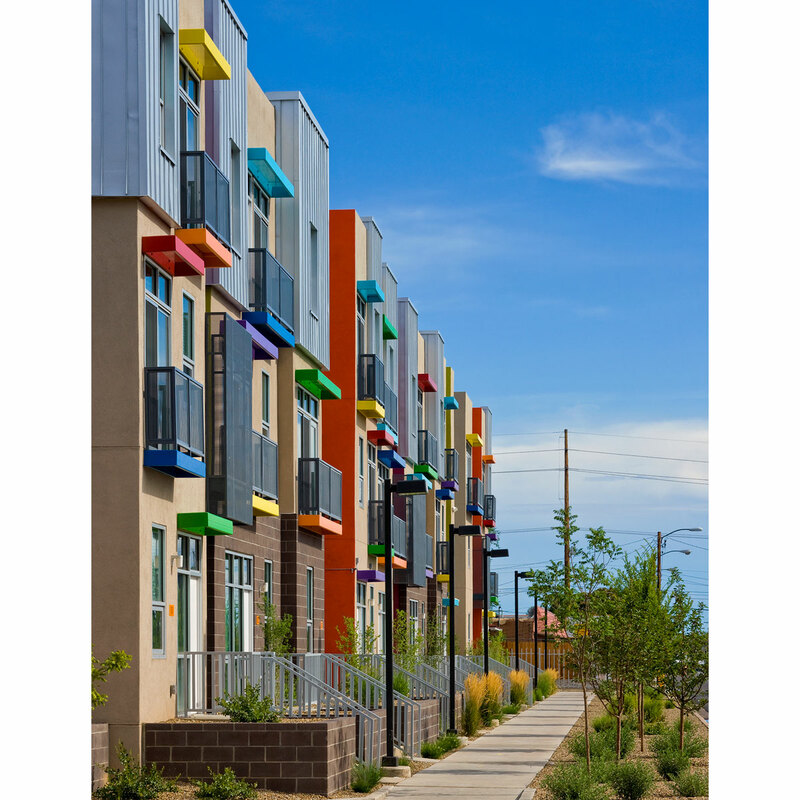 Providing a desirable and vibrant urban living experience within Albuquerque’s second oldest community, Plaza Cuidaña is a 3 acre, 68-unit residential development. 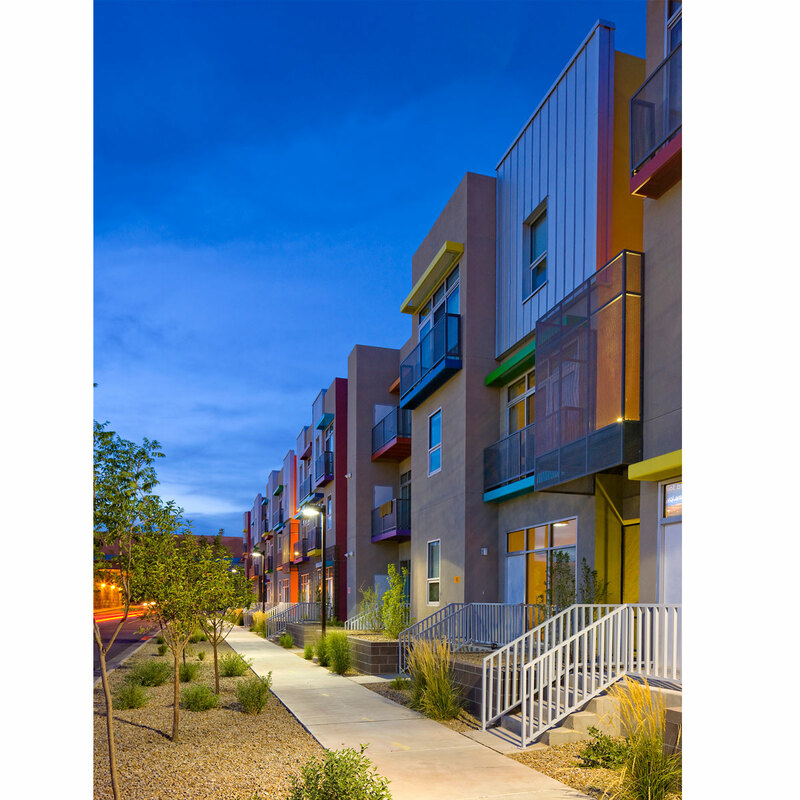 It is the first phase of a 12 acre revitalization strategy in the Martineztown neighborhood, 1.5 miles north of Downtown Albuquerque. Using positive social urban design concepts, porches and stoops celebrate the front entrance along perimeter and internal streets. Stucco exteriors with metal accent panels pay homage to both the adjacent industrial area and the indigenous metal roofs of Martineztown. 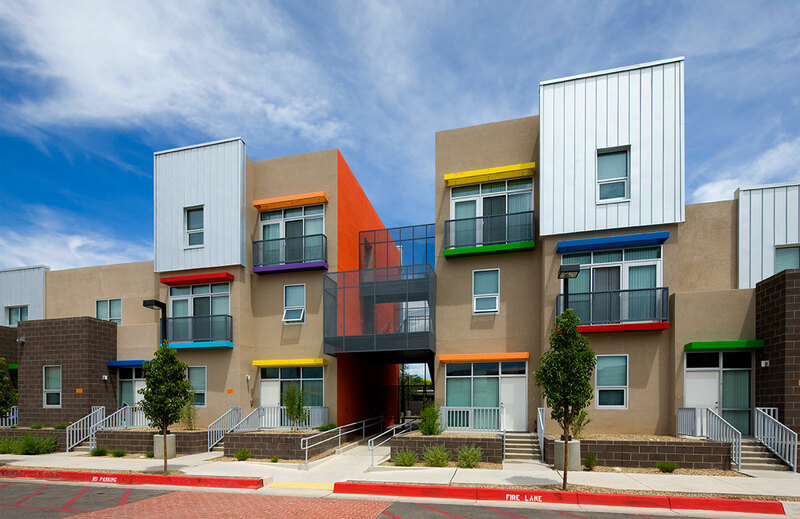 A network of brightly colored, sarape-like accent walls, metal balconies and eyebrow sun shades amplify the existing inherent accent colors of the Martineztown neighborhood. Interior, tree shaded gravel parking courts and private courtyards and balconies offer more informal and protected access to all units of the development. Centrally located park, recreational, child care and community meeting facilities function to provide safe and convenient social amenities to apartment residents. Units feature high ceilings, ceiling fans, and operable awning windows. 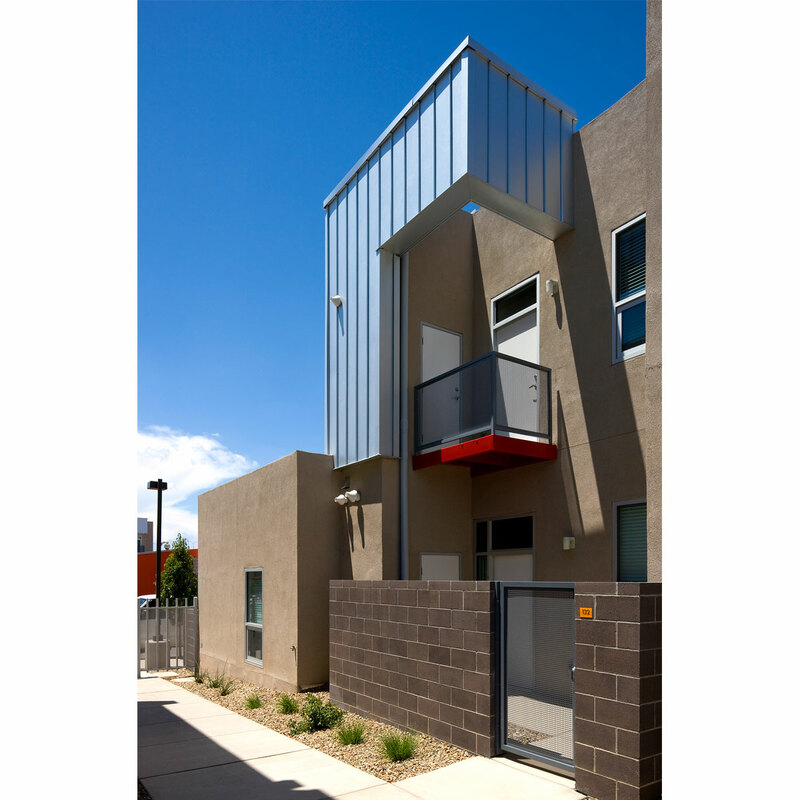 Wide expanses of aluminum storefronts bring ample light to the apartment interiors, while offering views to the streetscape, the downtown skyline, the Sandia Mountains, and the Petroglyph National Monument volcanoes. Evidence of the project’s success is manifested in the fact that Plaza Cuidaña’s property managers were able to pre-qualify over 150% of potential tenants for the project three months before the first units were slated to become available.